Not quite to the standard of the F1 types. never the less, Puff represents an economical way to fill a large border (or seveal small ones). 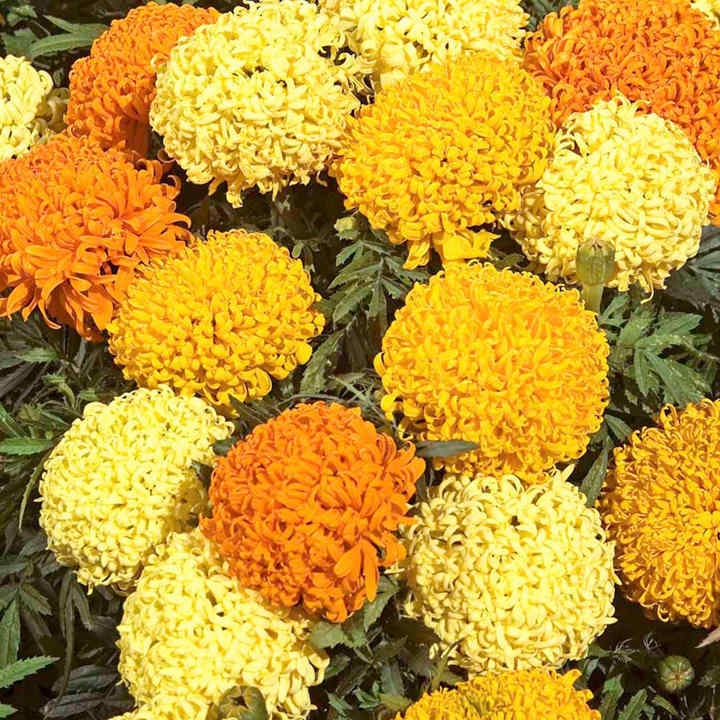 A superb, lower cost, reliable garden plant producing a long-lasting display of spectacular, chrysanthemum-like blooms in shades of golden-yellow, lemon and orange on dark green foliage. Height 20-25cm (8-10"). HHA - Half-hardy annual. Sow February-May, flowers June-September. Suggested planting distance 30-35cm (12-14").